NexGen portable staging is designed, manufactured and specially built to be safely transported, safely installed and safely used outdoors.Safely Transported: Everything is packed in a single trailer and you just need one moving trailer. There is no need for ground preparation, ballasting or anchoring. As well as NexGen portable stag﻿e trailers complies with highway policies. Safely Installed: Preassembled staging structures made up of heavy panels that unfold into a self standing covered stage in hydraulically and sequential way. During the installation sequence, the stage is never unsafe or dangerous at any moment. Most of the work is performed at deck level decreasing the risk for any potential mishaps or human mistake. Stages are installed by certified technicians of Portable staging system and follow step by step procedures. Safely used in all types of Outdoor events: All portable stage is designed and tested several times to fulfill the allowed load requirements. They are proven to be safe in all types of weather conditions. All NexGen portable stage comply with wind resistance criteria that is about 145 km/h (ninety miles per hour) without wind walls and 100 km/h (sixty miles per hour) with water-proof vinyl wind walls. All items have mechanical locking systems and hydraulic systems built with safety valves. 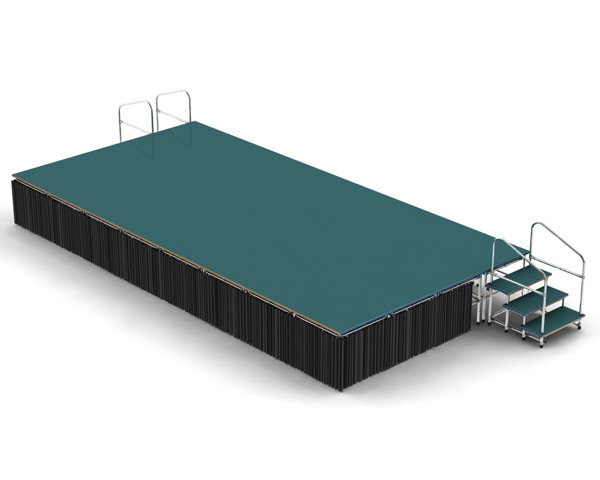 All portable stage platforms can used in high risk situations like snow storms, rain, heavy wind and so on. A NexGen unit is fully inspected, pre-assembled staging equipment that does not require additional engineering inspection on site. NexGen is an ISO 9001:2008 certified company since 2000. NexGen controls every step of the manufacturing process. Each stage built goes through a 600 point quality inspection. NexGen portable Stage Inc. is a full service nationwide portable stage and event rental supplier and manufacturer based in UK. NexGen portable Stage Inc. promotes the principles of environmentally friendly development. Their rules can be read into their products, which are made in a spirit of environmentally friendly development of keeping quality work. Tomorrow is today perfectly summarizes the company approach. 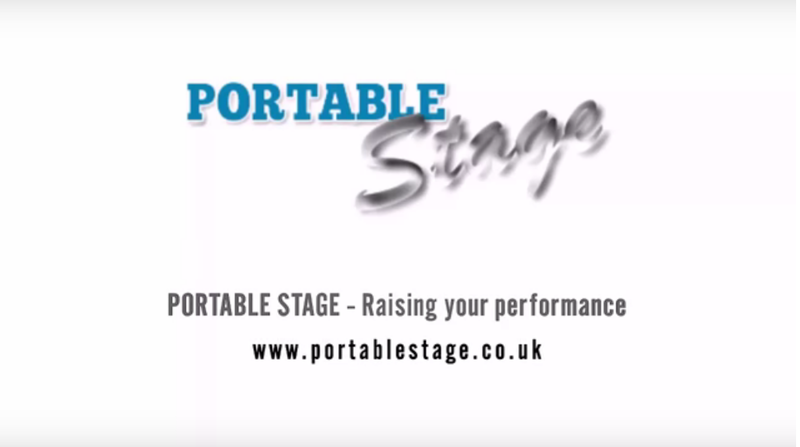 Portablestage.co.uk event rentals are customized for private parties, corporate meeting planners, event producers and technical directors, event venues and municipalities. ​Need some support or technical information? Get in touch with one of our NexGen portable stage specialists!